Omni Financial is proud to celebrate Veterans Day, a tribute to all Americans who have served our country during peace or wartime. We pay respect to our veterans for their contribution to the safety and security of our country and its citizens. 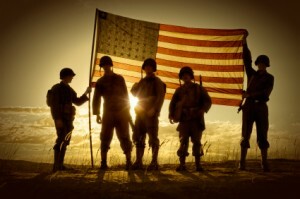 In honor of these heroes, we’ve put together a list of 10 interesting facts you may not have known about the holiday. Veterans Day is always observed on November 11 and is both a state and a federal holiday. The day was first called Armistice Day and was established on November 11, 1919. This date was the first anniversary of the ending of World War I. As a result of lobbying by veterans’ service organizations, Armistice Day was changed to Veterans Day in 1954. President Eisenhower signed the legislation. The holiday became a day to honor all of America’s veterans. President Eisenhower established the Veterans Day National Committee. Consisting of leaders of veterans’ groups, the committee meets several times a year in Washington, D.C. and plans Veterans Day activities and events that honor U.S. veterans. The committee is also dedicated to Veterans Day education, ensuring that the younger generations understand the importance and significance of the day. France, Britain, Canada, and Australia also honor World War I and II veterans on or near November 11. 7. In 1968, Veterans Day was changed to the fourth Monday in October. It was changed back to November 11 in 1975 by President Ford. 9. The Veterans Day National Committee selects a national Veterans Day poster every year. The Paralyzed Veterans of America also runs an annual National Veterans Day Poster & Essay Contest for elementary and middle school students. 10. The U.S. Department of Veterans Affairs features an interactive map that allows visitors to search for Veterans Day activities in their local areas. See if there is an event near you! Omni Financial Remembers America’s Veterans. Thank you for your service.